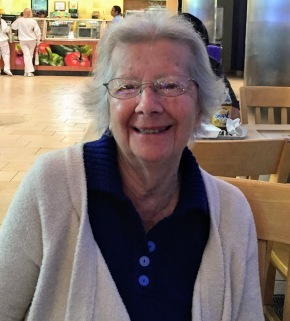 Concetta “Tina” (Fontanetta) Calobrisi, age 90, of Fair Lawn, NJ passed away on Thursday, April 11, 2019. Born and raised in the Bronx, NY, she resided in Paramus until moving to Fair Lawn in 2014. She was a member of St. Anne R.C. Church in Fair Lawn and Church of the Annunciation in Paramus. Tina enjoyed sewing, puzzles and spending time with family. Beloved wife of Ralph Calobrisi. Loving and devoted mother of Lisa Raimondo and husband Tim. Cherished grandmother of Heather, Joseph, Stephen, Tina, Matthew and Timmy. Cherished great grandmother of Justin, Harper, Addie and Joey. Dear sister of the late Anthony Fontanetta and Felicia Testa. A Funeral Mass is planned for Wednesday, April 17, 2019, 10:30 am at St. Anne R.C. Church, 15-05 St. Anne Street, Fair Lawn, NJ. In lieu of flowers, donations in memory of Concetta to St. Jude Children’s Research Hospital, 501 St. Jude Place, Memphis, TN, 38105 would be appreciated.